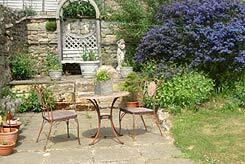 White Hall Farm Cottages are in an ideal location for people who just want to get away from it all. It provides a safe haven for children and dogs to play away from busy roads. 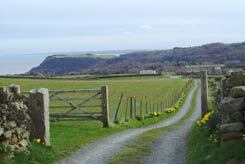 From your door you can enjoy the beautiful views looking out over rural countryside to the sea. Walk from your door to explore the woods; full of wildlife and flowers of the season. Or within minutes you are on a section of the Cleveland Way where you can follow the cliff path as far south to Scarborough or as far north to Whitby. We are also close to the disused Scarborough/Whitby railway line that is ideal for walking and cycling along. We are also ideally situated half way between Scarborough and Whitby and with Heart Beat country just half an hour car journey away. All local attractions are in easy reach. Enjoy all the traditional seaside holiday facilities that Scarborough and Whitby can offer, promenade walks, funfair rides, donkey rides, boat trips, parks, cinema, theatre, wonderful fish restaurants and then come back to your cottage to find peace and tranquillity. Go by car to nearby Stoupe Brow where when the tide is out, you can enjoy a short walk around the cliffs to Robin Hoods Bay. Children will delight in looking in the rock pools for creatures that have been left by the tide. We welcome all the family and your pets can come to - free of charge! Out of season short breaks from only £110 for a 2 night stay. Please contact us for more information or see the booking page for available dates. 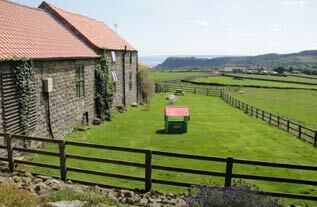 Set in a stunning coastal location within easy striking distance of Scarborough & Whitby.